Leone heads Spiezle's senior living practice. Steve Leone, a principal at Spiezle Architectural Group, Inc., has been named to the Board of Trustees of the New Jersey Foundation for Aging (NJFA). 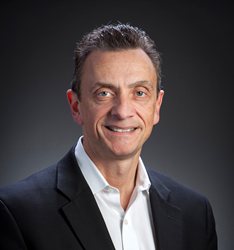 Leone heads the firm’s senior living practice. NJFA promotes services that enable older adults to live in the community with independence and dignity. The organization’s mission is to address unmet needs through grant making and increase society’s awareness to influence public policy. Leone is a strong proponent of resident-focused care. Working closely with providers including Francis E. Parker Memorial Home, Lillian Booth Actors Home and Assisi House, he continually innovates with architectural designs and strategies that lead the way as clients embark on and implement culture change initiatives. In addition, Leone is a co-founder of Life Enrichment Aging in Place Professionals (LEAPp), a coalition of experienced professionals consulting with public and private organizations to create communities that support aging in place. The “think tank” is engaged in geriatric research, management, operations and market analysis as well as planning, architecture landscape design and property development. In addition to senior living, Spiezle serves the academic, corporate/commercial, government, hospitality, recreational and religious markets. Spiezle Architectural Group is an award-winning, full-service architectural and planning firm. Founded in 1954, the firm is known for innovative design, financially responsible solutions and personalized service. Spiezle serves senior living, academic, corporate/commercial, government, hospitality, recreational and religious clients. Learn more at http://www.spiezle.com.